Name of reference books for preparation of IITJAM Physics exam? I am Saurabh Srivastava preparing for iit jam physics this year and i want the name of reference books which can useful for the preparation of this examination. Reference books for preparation of IITJAM (Chemistry) examination? Is VPM classes good for IITJAM preparation? Kind of preparation needed to qualify IITJAM? Helpful websites for online preparation of IITJAM? Books for preparation of IITJAM Physics? Details of books for preparation of IITJAM in Chemistry? How can I prepare for BITSAT entrance exam? 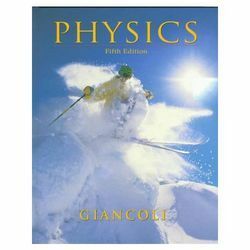 Suitable Physics books for the preparation? Best reference book for IITJAM exam? What optional subject to choose for Civil Services exam being Science student? Reference books for preparation? Books to be preferred for IITJAM Physics entrance exam? What and how to study to get prepared for IITJAM? Suitable books for best preparation of this exam? Re: Name of reference books for preparation of IITJAM Physics exam? AND I SUGGEST THAT "MODERN PHYSICS-R.MURUKESH".ALSO YOU HAVE GO THROUGH YOUR 12TH PHYSICS AND MATHEMATICS TEXT,WHICH GIVES YOU BASIC KNOWLEDGE ALSO HELPS IN YOUR FUTURE.BEST WISHES. I Prefer your +2 physics ,mathematics syllabus for your basic knowledge,all the best for your future. 4.Feyman Lecture on Physics 1,2,3. 5.I.E. Irodov Problems in General Physics. 1) SAMVEDNA'S IIT JAM physics by samvedna publication. 2) R.Gupta's IIT JAM Joint Admission test for Msc physics. IIT-JAM (PHYSICS) SYLLABUS : Mathematical Methods: Calculus of single and multiple variables, partial derivatives, Jacobian, imperfect and perfect differentials, Taylor expansion, Fourier series. Vector algebra, Vector Calculus, Multiple integrals, Divergence theorem, Green's theorem, Stokes' theorem. First and linear second order differential equations. Matrices and determinants, Algebra of complex numbers. Mechanics and General Properties of Matter: Newton's laws of motion and applications, Velocity and acceleration in Cartesian, polar and cylindrical coordinate systems, uniformly rotating frame, centrifugal and Coriolis forces, Motion under a central force, Kepler's laws, Gravitational Law and field, Conservative and non-conservative forces. System of particles, Centre of mass, equation of motion of the CM, conservation of linear and angular momentum, conservation of energy, variable mass systems. Elastic and inelastic collisions. Rigid body motion, fixed axis rotations, rotation and translation, moments of Inertia and products of Inertia. Principal moments and axes. Elasticity, Hooke's law and elastic constants of isotropic solid, stress energy. Kinematics of moving fluids, equation of continuity, Euler's equation, Bernoulli's theorem, viscous fluids, surface tension and surface energy, capillarity. Electricity and Magnetism: Coulomb's law, Gauss's law. Electric field and potential. Electrostatic boundary conditions, Solution of Laplace's equation for simple cases. Conductors, capacitors, dielectrics, dielectric polarization, volume and surface charges, electrostatic energy. Biot-Savart law, Ampere's law, Faraday's law of electromagnetic induction, Self and mutual inductance. Alternating currents. Simple DC and AC circuits with R, L and C components. Displacement current, Maxwell's equations and plane electromagnetic waves, Poynting's theorem, reflection and refraction at a dielectric interface, transmission and reflection coefficients (normal incidence only). Lorentz Force and motion of charged particles in electric and magnetic fields. Kinetic theory, Thermodynamics: Elements of Kinetic theory of gases. Velocity distribution and Equipartition of energy. Specific heat of Mono-, di- and tri-atomic gases. Ideal gas, van-der-Waals gas and equation of state. Mean free path. Laws of thermodynamics. Zeroeth law and concept of thermal equilibrium. First law and its consequences. Isothermal and adiabatic processes. Reversible, irreversible and quasi-static processes. Second law and entropy. Carnot cycle. Maxwell's thermodynamic relations and simple applications. Thermodynamic potentials and their applications. Phase transitions and Clausius-Clapeyron equation. Modern Physics: Inertial frames and Galilean invariance. Postulates of special relativity. Lorentz transformations. Length contraction, time dilation. Relativistic velocity addition theorem, mass energy equivalence. Blackbody radiation, photoelectric effect, Compton effect, Bohr's atomic model, X-rays. Wave-particle duality, Uncertainty principle, Schrodinger equation and its solution for one, two and three dimensional boxes. Reflection and transmission at a step potential, tunneling through a barrier. Pauli exclusion principle. Distinguishable and indistinguishable particles. Maxwell-Boltzmann, Fermi-Dirac and Bose-Einstein statistics. Structure of atomic nucleus, mass and binding energy. Radioactivity and its applications. Laws of radioactive decay. Fission and fusion. Solid State Physics, Devices and Electronics: Crystal structure, Bravais lattices and basis. Miller indices. X-ray diffraction and Bragg's law, Einstein and Debye theory of specific heat. Free electron theory of metals. Fermi energy and density of states. Origin of energy bands. Concept of holes and effective mass. Elementary ideas about dia-, para- and ferromagnetism, Langevin's theory of paramagnetism, Curie's law. Intrinsic and extrinsic semiconductors. Fermi level. p-n junctions, transistors. Transistor circuits in CB, CE, CC modes. Amplifier circuits with transistors. Operational amplifiers. OR, AND, NOR and NAND gates. ALSO HELPS IN YOUR FUTURE.BEST WISHES. 1. Text book is the best choice. iit jam is the one of the toughest entrance examination. For admission to the physics stream in IITJAM you should have pursued physics as a subject during graduation. Also mathematics should have been pursued for a minimum of 1 or two years. Resnick and Halliday for general physics, including mechanics,optics,etc. Relativity: Robert Resnick's book is good enough. This exam is held on every year. IIT-Jam joint addmission test for m.sc(physics)previous years papers(solved)2005-2011 and practice test papers solved 2013 edition. Dear,admission to the physics stream in IITJAM you should have pursued physics as a subject during graduation. Also mathematics should have been pursued for a minimum of 1 or two years. Candidate should have complete their 10+2 exam by a recognized Central/State Board are eligible for this exam. Final year 10+2 students are also sit in this exam. Candidate should have to qualify the screening test of JEE exam are eligible to appear in the main exam. Candidate's age should between 17 to 25 years.SC/ST and PD category candidate get five years relaxation in upper age limit. These are the Reference Books of Physics for IIT- JEE exam..
hi.i am doing B.sc 3rd year.please send short turm iit jam physics admission test books. how many attempt are we allowed to qualify iit jam physics? hello sir,i want to know books for subjective as well as objective types question? HELLO SIR, I WANT TO KNOW BEST BOOK FOR SUBJECTIVE AS WELL AS OBJECTIVE TYPE QUESTIONS FOR IIT-JAM PHYSICS? Physics solved papers for IIT-JAM entrance exam? Am I eligible to get Mechanical Engineering branch in IIT if I have scored 53 in Physics, above 75% in PCM, 65% in aggregate and ranked 250 in SC category of IITJEE? List of Physics books for mentioned topics?